​The South Florida PGA Foundation developed the South Florida PGA Junior Tour in the early 2000’s with a mission of providing playing opportunities for local youth to get involved and learn the game. Over time programming has developed, and now the South Florida PGA Foundation offers five different levels of play for junior golfers age 6 -18. Committed to providing first class, fun yet competitive events for golfers of all skill levels, we strive to keep our programming affordable and diverse. Team Golf serves as a fun, social, less stressful approach to tournament play and is a great way to get kids involved with the game of golf in a team environment. Teams are coached by local PGA / LPGA Professionals at facilities throughout south Florida. The Junior Prep Tour is our entry level tour for junior golfers from ages 9-18 who are looking to make the jump from Team Golf and other entry level junior programs to the next level of competition. Players must have some previous tournament experience and golf knowledge to be eligible for the Prep Tour. The Prep Tour provides a competitive, yet fun tournament atmosphere, encompassing a nine month season of golf played on some of South Florida’s best golf courses. The Prep Tour is a great way for junior golfers to gain competitive playing experience. 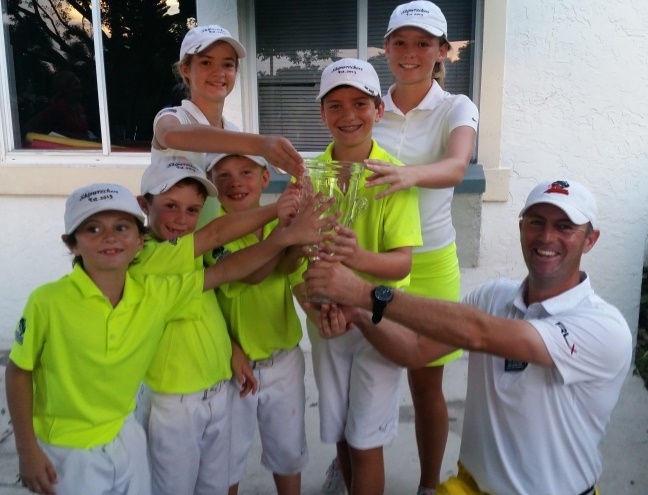 The South Florida PGA Junior Championship Tour is our premier tour. The Championship Tour is a series of two-day events at some of South Florida’s premiere facilities. Membership is invitation only based on participation on the Challenge Tour. Juniors are invited based on their previous year’s Junior Tour scoring average and point standings, and current year’s performance. All Championship Tour events are nationally ranked by Junior Golf Scoreboard. All Championship Tour events are 36-hole events, with a Boys (13-18) and Girls (13-18) division. Boys compete from the Championship tees (6600-7000+ yards), and girls compete from the middle tees (5800-6000+).